Rhew Contracting provides electrical services, electrical repair along with providing San Diego Lutron Automation. We are a Lutron Automation specialist. 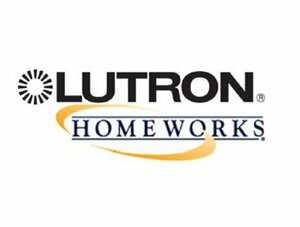 If you are a San Diego homeowner searching for top-of-the-line home automation control, look no further – Lutron HomeWorks QS offered by Rhew Contracting has got it all. HomeWorks QS places the control of your home right at your fingertips, allowing you to effortlessly control internal and external lighting, manage your audio/visual gadgets, and even control your HVAC system. Best of all, you’ll save energy and lower your monthly bill! Through the single touch of a button, managing your San Diego County home’s energy use becomes a breeze. With HomeWorks QS, you can easily turn on/off small appliances which use standby power such as computers and audio/visual components such as entertainment centers. Tired of high energy bills? Rhew Contracting can easily install a Lutron home automation system that allows you to take advantage of natural lighting. With the touch of a button automated shades can be easily adjusted and you can instantly lighten or darken areas of your home. You can also modify your heating and cooling systems depending on the time of day. With HomeWorks QS, you will be able to cut your energy costs thanks to the Lutron home automation system’s innovative features. Easily dim the lighting in your home or adjust your heating or cooling system with one central remote. By utilizing energy-saving LEDs and compact fluorescents (CFLs), you can also increase your savings and maximize the efficiency of your home automation system. The Lutron system is incredibly convenient. Just how convenient? Well, it can even integrate with your iPhone! With the tap of an app, you can adjust the lighting and shades when you’re away from your home. You no longer have to arrive home to a pitch-black house. Instead, you can use your iPhone or Carry the Pico wireless control to light up your exterior and interior lights once you arrive home. HomeWorks QS can be integrated with Android, iPhone, iPod touch, and iPad. Your Lutron home automation system comes with tons of energy-saving solutions. Selecting the “Away” button automatically adjusts the temperature, shades, and lighting to preserve energy, while the “All Off” button makes sure that all of the lights in your home are turned off at a certain time. The “Time Clock” button allows you to dim lighting at certain times of the day and “Appliance Control” turns off standby power when appliances are not in use. Another great feature, the “Occupancy/Vacancy Sensor,” is perfect for areas of your home where lights are often left on, such as your bathroom. By installing the sensor, the lights will turn off when you leave the room and turn on when you enter. Make your San Diego home stand out from your neighbors’ with fully-customizable keypad colors and styles. You can even enhance the look and feel of your home by coordinating your home automation system to compliment your home’s overall design. In fact, everything from phone and cable jacks to receptacles come in a variety of styles and colors. Looking For Home Automation Experts? Rhew Contracting, Inc is San Diego County’s most well-known and trusted Lutron Automation Installer. From indoor and outdoor lighting, shades, temperature, and appliance control to color coordinating and customizing your HomeWorks QS automation system, Rhew Contracting can provide you with the ultimate home automation system. If you’re considering a home automation system or simply want to find out more about one, give us a call for a FREE consultation! Solving all of your commercial office and industrial automation needs!